The Spidi Teker Short motorcycle trousers are constructed from high quality cow hide with Tenax Flex panels for improved comfort, flexibility and fit. 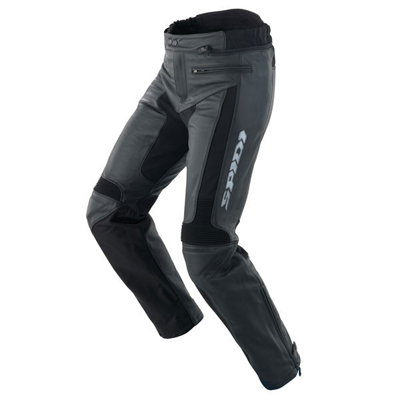 These Spidi trousers are ideal for naked and touring bikes and have a shorter cut, ideal for riders that find the standard trouser length too long. These 50% waterproof trousers have a removable mesh lining. The Teker short trousers come with CE approved hip and knee protectors. Sizes shown are EU.